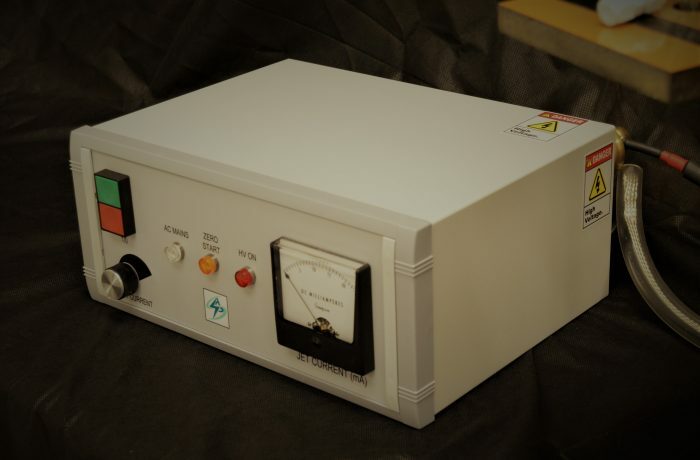 The APS Plasma Jet power supply is intended for Research and Development purpose and would be ideal for energizing small dielectric barrier discharge based plasma jets for surface science studies. The system is compact, safe and efficient. Occupying less than 680 cubic inches (11,100 cm3), the system features an isolated grounding system, zero-start lock-out and high frequency switching power supply technology. The system can provide over 20 mA RMS current with an optimized jet configuration and offers a 20 kV starting voltage. As research applications are unique, APS offers engineering services to ascertain suitability of our power supply to each customers requirement. Working gas(es), gas pressure, jet gas dynamics, plasma chemistry products, gap width, electrode material and customer critical metrics will all be considered to meet customer demand and specification.